Using an air purifier is a great way to keep the air in your home healthy and clean. One common question people have about these machines, though, is specifically whether they can keep you from getting sick. To answer this question, we need to look at the features of different air purifiers and the causes of sickness. Here's what you need to know about air purifiers and how they may be able to help prevent you from getting sick the next time something is going around. What Do Air Purifiers Really Do? When air is passed through a typical air purifier, it is forced through a filter that either consists of carbon or HEPA material. Carbon is used to remove odors, gases and VOCs from the air, while HEPA filters take out solid particulates like dust, pollen and mold spores. In many cases, these two types of filters are built into the same unit to provide broad spectrum protection from both gases and solids. What About Bacteria and Viruses? The two main causes of contagious diseases are airborne bacteria and viruses. The problem, from an air purification perspective, is that these organisms are so tiny that even a HEPA filter doesn't catch most of them. So, while a normal air purifier will remove many of the potentially unhealthy contaminants from your home air, it doesn't have the ability to effectively target the root causes of sickness. So, How Can an Air Purifier Keep You From Getting Sick? While HEPA and carbon filters can't target bacteria or viruses very effectively, some air purifiers are equipped with systems meant for this very application. 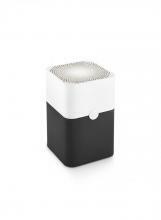 The most common way for an air purifier to eliminate these contaminants is with a UV germicidal lamp. Intense UV light can neutralize bacteria and viruses by disrupting their unprotected DNA. For this reason, UV systems are often used in hospitals. These UV lamps are often added to air purifiers that already include HEPA and carbon filtration to expand their protection. A few examples of these multi-filter units with UV lamps include the Fields Controls TRIO, Airpura UV600 and AllerAir AirMedic Pro 6. Another method of dealing with pathogens in the air is by subjecting them to intense heat. 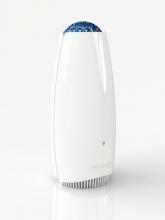 One air purifier brand, Airfree, has produced a line of models that pass air through a heated ceramic core, thus killing pathogens and eliminating pollen, mold spores and other solids. Be aware, though, that these air purifiers don't include carbon filters and so can't offer protection from gases. Using either one of these systems, an air purifier can actually make you less likely to get a cold, flu or bacterial infection that's going around. Keep in mind, though, that the main benefit of an air purifier is the long-term health effect of breathing air that isn't contaminated or polluted. Even if you use an air purifier in the home, there's always a chance you'll catch something from someone at work or in public. Air purification with UV or the application of heat is a good way to reduce your chances of getting sick, but it will not absolutely guarantee that you won't. Although air purifiers can be used in any room within your house, each location will have its own unique needs. One of the rooms in which many people choose to use air purification is the bathroom. Here's what you need to know about bathroom air purifiers and three of the top units we recommend. In terms of filter capacity, an air purifier you plan to use in your bathroom should have a fairly powerful carbon filtration system to remove odors and possible fumes from the cleaning chemicals that are frequently used to clean toilets, tile and other bathroom surfaces. Since most bathrooms aren't huge rooms, it's also important to look for compact units that won't take up the entire space. 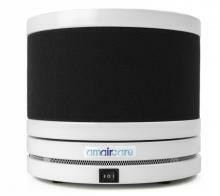 With its compact size, sturdy construction and strong carbon filtration, the Amaircare Roomaid VOC makes a great air purifier for your bathroom. This unit features 360-degree air intake and can cover up to 300 square feet of space. With two fan speeds, you can also adjust this purifier to your own bathroom's needs. The Rabbit Air BioGS 2.0 is a compact yet powerful air purifier that offers 4-stage filtration and can cover up to 550 square feet. Rabbit Air designed this air purifier with looks in mind and came up with a handsome yet unobtrusive machine that won't call too much attention to itself in your bathroom. 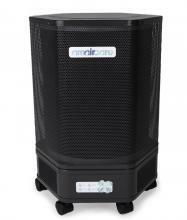 A scaled-down version of the larger Healthmate model, the Austin Air Healthmate JR covers 700 square feet and offers both HEPA and carbon filtration. With its all-steel construction, three fan speeds and a 360-degree air intake, the Healthmate JR is more than capable of keeping the air in your bathroom clean and healthy. 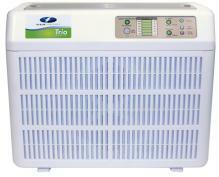 Have questions about these three bathroom air purifiers or any of the other models we sell here at US Air Purifiers? Feel free to send us your questions and we'll be happy to provide you with answers and personalized product recommendations for your unique needs. One of the most important aspects of cleaning up the air in your home is knowing what contaminants are in it in the first place. For this, you'll need an indoor air quality monitor that can track your air quality and help you measure the effectiveness of your air purifier. Here are the three indoor air quality meters we offer at US Air Purifiers and what each one can do to help you make sense of your air quality. The Foobot indoor air quality meter measures VOC and particulate matter content in home air. Using a color-coded light on the unit itself, the Foobot will then tell you what the overall quality of your home air is. In addition to this color-coding system, the Foobot can transmit specific data about your air, along with suggestions for improving it, to your smartphone via a mobile app. In addition to contaminant levels, the Foobot also measures carbon dioxide, humidity and temperature. The Blueair Aware is a monitor that is meant to be paired with Blueair's New Classic Series line of high-quality residential air purifiers. When paired with one of these purifiers, the Aware will not only give you much of the same data as the Foobot but also use a WiFi connection capability to adjust the purifier to improve your air quality in real-time. If you don't own a compatible BlueAir unit, though, this indoor air quality meter can also be used independently. Rounding out our list of air quality monitors is the AirVisual Pro from IQAir. Like the Blueair Aware, the AirVisual Pro is made to be used in conjunction with a WiFi enabled air purifier, in this case from IQAir's line of high-quality units. The AirVisual Pro uses AI-powered predictive analytics to keep the air in your home as clean as possible at all times. It is also capable of storing up to five years of your air quality data, allowing you to track changes over long periods of time and gain deeper insights into what affects the air in your home. If you have questions about which indoor air quality meter is right for you, feel free to contact us for answers and personalized recommendations. We can also help you select the right air purifier for your home based on its size and your needs. One of the most common questions people who haven't used an air purifier before have is whether or not they can dry out the air. We can tell you up front that the idea of air purifiers making the air dry is a myth. Here's what you should know about dry air and purifiers before you buy one. Why Don't Air Purifiers Make the Air Dry? Simply put, an air purifier has no mechanism for drawing moisture from the air. As air passes through the filter material, particulates and/or chemical gases are captured. 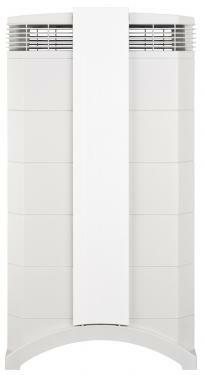 Moisture, though, cannot be captured by air purifier filters in any appreciable quantity. If you actually want to remove excess moisture from your air, you'll need to use a dehumidifier. Unlike air purifiers, dehumidifiers are specifically made to draw moisture from the air and collect it in a tank that can be emptied or pumped into a drain. Just because your air purifier doesn't remove moisture from the air doesn't mean that your home air is moist enough. Dry air can cause nasal irritation, chapped lips and dry mouth while you're sleeping. If the air in your home is a little too dry, consider using a home humidifier to balance it out. Using a humidifier, especially in your bedroom, is an easy way to add some moisture into your air if you feel that it's too dry in your house. While you may not need extra moisture all the time, having a humidifier can be especially convenient in the wintertime when air is typically at its driest. Have other questions about air purifiers? We're here to help! Feel free to contact us with your questions, and we'll be happy to provide you with answers and personalized product recommendations based on your specific needs. When people are buying air purifiers, there are often a variety of features and metrics they need to acquaint themselves with to make an informed buying decision. One of the things that can trip people up is the number of air changes per hour a given air purifier can perform. Here's what you need to know about air changes and how many you need for optimal air quality. Why Are Air Changes Important? Simply put, an air change represents one cycle of all the air in a room being run through the purifier. The more air changes a given unit can perform per hour, the more times the air is being filtered. Air that is purified more frequently is less likely to allow new contaminants to build up, ensuring that air quality stays high. The number of air changes per hour a given unit can perform can be easily calculated using the purifier's flow rate and the volume of the room in question. To do this, multiply the unit's per-minute flow rate by 60, then divide the result by the total volume of the space it's being used in. As an example, let's take the Amaircare 3000 VOC, which has a maximum flow rate of 225 cubic feet per minute. Multiplied by 60 to account for one hour of runtime, we find that this air purifier can move a maximum of 13,500 cubic feet of air per hour. If used in a room that is 20 feet long and 20 feet wide with 8-foot ceilings (whose volume is 3,200 cubic feet), the Amaircare 3000 can perform approximately 4.2 air changes each hour. In some cases, air purifier companies make this a process a little easier by stating the number of air changes per hour their units can perform in spaces of a given size. The Blueair Pro XL, for instance, will perform up to 5 air changes each hour in spaces of up to 1,180 square feet. Keep in mind that air purifier coverage ratings assume standard 8-foot ceilings, so what this rating really means is that the Pro XL can perform 5 air changes in spaces with volumes of up to 9,440 cubic feet. How Many Air Changes Per Hour Do You Need in Different Rooms? Now that you can calculate air changes per hour, it's time to consider how many you really need. While the ideal number for your needs will depend on exactly what contaminants you're dealing with, most residential spaces do best with 3-8 changes each hour. At these levels, contaminants will be filtered out quickly, leaving your air in the best possible shape. 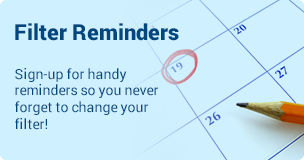 For more information about the best number of air changes for each room in your house, we recommend checking out the excellent chart on this web page. As you can see from this chart, optimal air changes are lowest in rooms with minimal contamination, such as bedrooms, and highest in kitchens and laundry rooms where fumes may be wreaking havoc with air quality. Have questions about which air purifier is right for your home? We're here to help. Feel free to contact us and we'll be happy to provide you with answers, information and personalized product recommendations. Our customers enjoy the best of both worlds: Large business advantage of lowest prices and highest quality offering a wide array of air purifier and air filter brands, plus the Small business advantage of outstanding customer service, free shipping, specials, and tips catered to your interest. If you don't see the brand or item that you need, please contact us. We display the most popular brands; however, with our wide realm of resources we have the ability to offer numerous other home comfort products for the home and/ office. With a disabled, retired veteran as part ownership of US Air Purifiers LLC, we frequently work directly with government agencies, government contracts and military personnel. We take great care in following the needs of our customers to assure their purchases go smoothly for them. Lastly, we are different than our competitors because we take extra care to assure your information is secure and what we show on our site is accurate. BBB, GeoTrust, TrustGuard, Norton Shopping Guarantee, and Shopper Approved are just a few ways that we go above and beyond the traditional security and customer service measures. Some of our most popular brands are Amaircare, Austin Air, Airfree, Airpura, AllerAir, Blueair, Electrocorp, EnviroKlenz, Field Controls, Rabbit Air, Sunpentown, Vortex Desk Lamp, and Foobot and more. Our product line consist of but is not limited to the following home comfort products: air purifiers, air purifier filters, humidifiers, and portable air conditioners.